What fun I had on the Halloween See Saw with Michele! My little quilt started out with a center block of a jolly Kitty ~ hand embroidered by me. I added a starry orange/purple/green border around the starter block and sent it over to my partner! From there it just grew and grew into the little beauty you see in the pic. I love each border that Michele added ~ every one more cute than the next. It pops with colors that I love for Halloween. 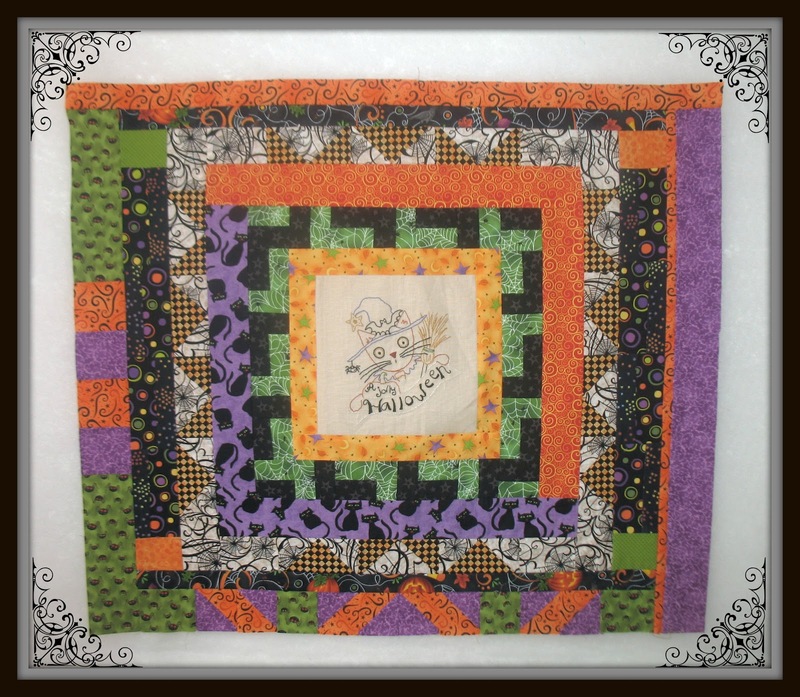 It has cats, and spiders and spooky webs ~ just lots of fun fabrics. I’m enjoying looking at it for now ~ just as it is in a state of flimsy! 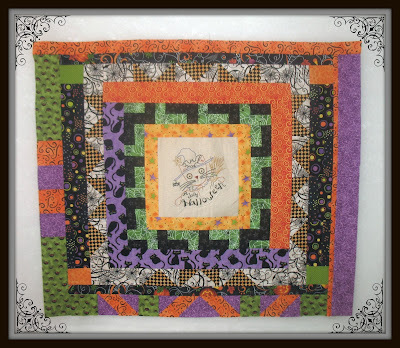 Later on (surely before Halloween 2013) I may add another border or three and finish it up with fun quilting and a wild and crazy backing, too. Thanks to our Swap Mama ~ Michele ~ for guiding us along the Halloween path. Thanks, Michele, for being my partner in all the fun! 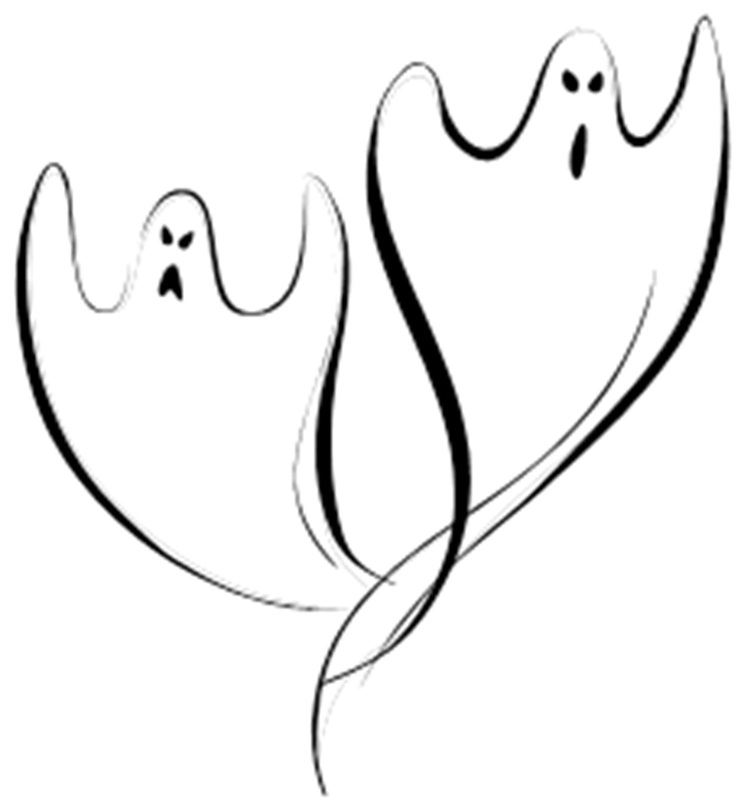 And of course ~ it’s on display for everyone to enjoy this spooky season…. 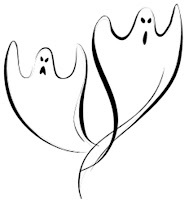 Happy Haunting everyone! Wonderful quilt! The stitchery is superb and the additions of those wonderful fabrics and pieced frames compliment it so well! Well done to all! You've ended up with a fun little quilt, Edy. Your stitched jolly kitty is just adorable! Halloween See Saw Swap-The Reveals!